You must capitalize on the power of Google to harness all the potential customers online. With the craze on online shopping being at an all-time high, the majority of online shoppers (about 80 percent) are conducting research before they make a purchase. Most find Google a reliable place to do research, as it provides a various form of information, including maps, ratings, reviews, and descriptions. When carrying out research, most people do not look beyond the first page. Once they do find the information on the websites they need on the first page, they rarely click the next page of Google. If your webpage is on the next page, it will not get the visibility that you need. Once online users see that your website provides the relevant information they seek, they are likely to click on the link to your site. Your website visible on the first page means that a higher number of people will click to check out your products or service. It means that about 71 percent of web traffic will visit your page. Compared to a low percentage of web traffic to the second page, it makes sense to do everything possible to make it on Google’s first page. Many online users stumble upon products that they never intended to purchase. 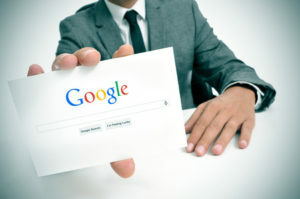 They could be looking for some specific information on Google only to find that the information relates to the service that your MSP company provides. Such users have the potential of being your new customers without you having to put much effort. You could benefit from the 167 billion searches that Google gets per month. Being able to improve your Google page rank will bring you a substantial amount of traffic and profitability. However, it does not happen automatically. You need superb content to make it to the top ten websites on the page. An increased engagement has the advantage of getting you in touch with your clients. You will be able to maximize the high number of visitors from Google searches if you provide backlinks to your website or social media channels. An increase in content means increased opportunities for your target audience. Having your website on the top ten of Google searches will have a positive psychological impact on online shoppers. They will learn to trust you to provide the service that you are offering. It is a sort of endorsement from Google—a trusted brand in online engagements. A seal of approval from Google means that the services you claim to offer are top-notch. It means that you are truly capable of helping them to receive a similar amount of visibility and traffic. Moreover, appearing on Google’s first page demonstrate your expertise in your niche. They will look to you to provide the knowledge and any trending information. The most important bit of it is that they will be certain to obtain the superior service that your website promises. It is essential that the website of your MSP company appears on the first page of Google. However, it is not an easy undertaking. That is why businesses hire other companies to do it for them. You can be able to apply the industry standards to help other businesses achieve visibility. In the process, you will promote your expertise in a subtle but powerful way. Let Google do the work as you strive to produce quality content that is search-engine optimized.